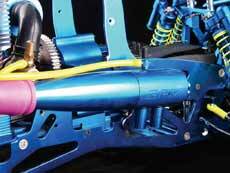 Lightweight suspension arms improve suspension action and give great response in corners. 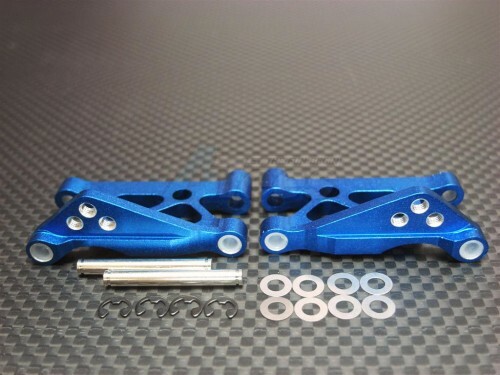 This will fit TA03-F and TA03-R. You will need to sets of these to complete a car. 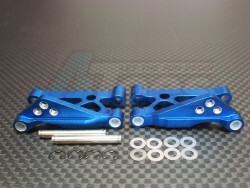 The Tamiya TA03 Aluminum Front or Rear Arms Set - 1Pair Blue has an average rating of stars based on 48 customer reviews.